The world’s largest solar photovoltaic (solar panel) project is being planned for Serbia, PV Magazine has reported. The developer of the proposed 1 gigawatt project, Securum Equity Partners & Associates from Luxembourg, has revealed the project has received the go-ahead from the Serbian government. Construction of the massive solar power project will cost 1.75 billion euros, and it’s scheduled to get underway as soon as next April. It’s expected to be completed by the end of 2015. 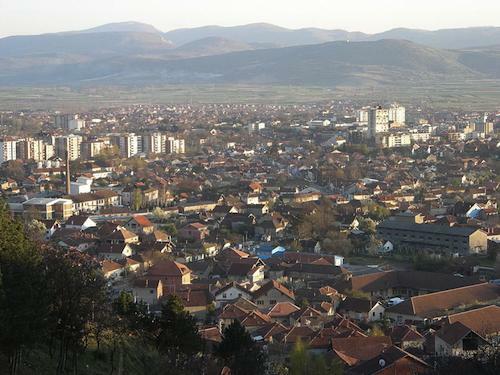 The project will consist of 100 ten megawatt photovoltaic systems, and some of the locations for the systems have already been found in the Pirot area in the south eastern part of Serbia, which is the sunniest region. The final framework for the project is expected to be signed-off by the government this week. When that happens, the required funding goal will be reached. It has been revealed that most of the investors in the project are from Europe. The large solar project is expected to employ 500 people during construction, and about 120 for ongoing maintenance. It was noted that the southern part of Serbia where the project will be located currently has the highest rate of unemployment in Serbia.